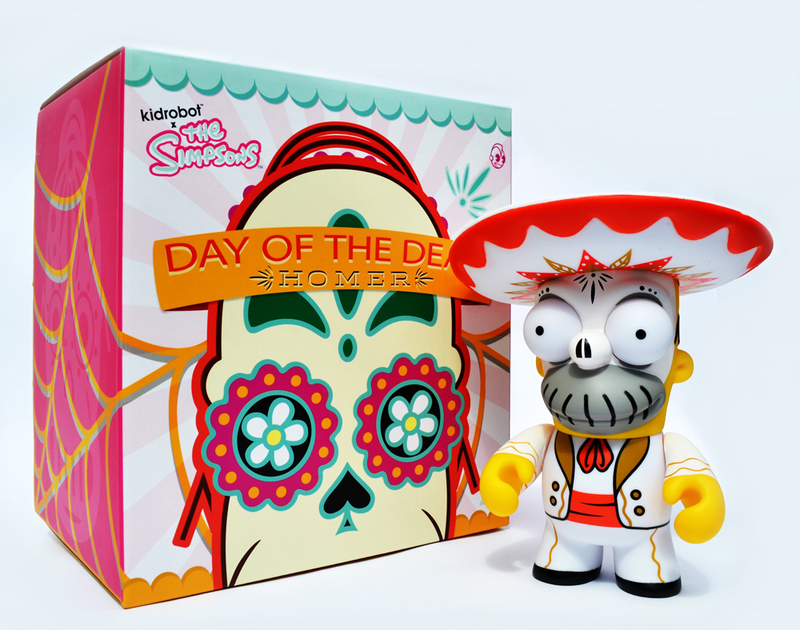 Kidrobot’s Day of the Dead Homer | 'TAIN'T THE MEAT… IT'S THE HUMANITY! Kidrobot have been releasing vinyl toys based on characters from The Simpsons for over six years now, in both three-inch (sold in blind boxes) and limited edition six-inch versions. Their choice of which character receives the oversized treatment has always been a little eccentric (their Homer Buddha for example) but Day of the Dead Homer surely takes the biscuit, or churro if you’d prefer. 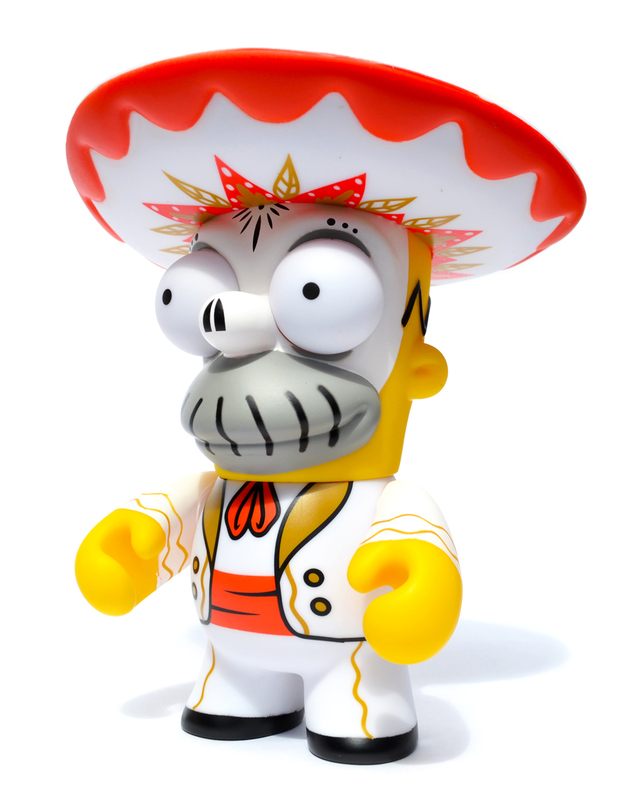 Released on 3rd October 2013 this seven-inch vinyl toy features a version of the Mariachi Homer figure originally released with Kidrobot’s second wave of three-inch toys in 2010, except this version has been given the Day of the Dead treatment in honour of the famous Mexican holiday. Reader’s familiar with Kidrobot’s range of oversized vinyl figures will immediately recognise the well-made and satisfyingly chunky feel that all their toys share. The attention to detail on Homer’s costume and face is top-notch (I particularly like the pattern on his forehead) as is the paint work on his hat, especially on the inside brim. Kidrobot’s range of figures have always been at the quality-end of the vinyl toy market and seeing the craftsmanship of this figure it’s easy to see why. The figure features limited articulation to his arm and head and his hat – which is the only accessory – can be removed. 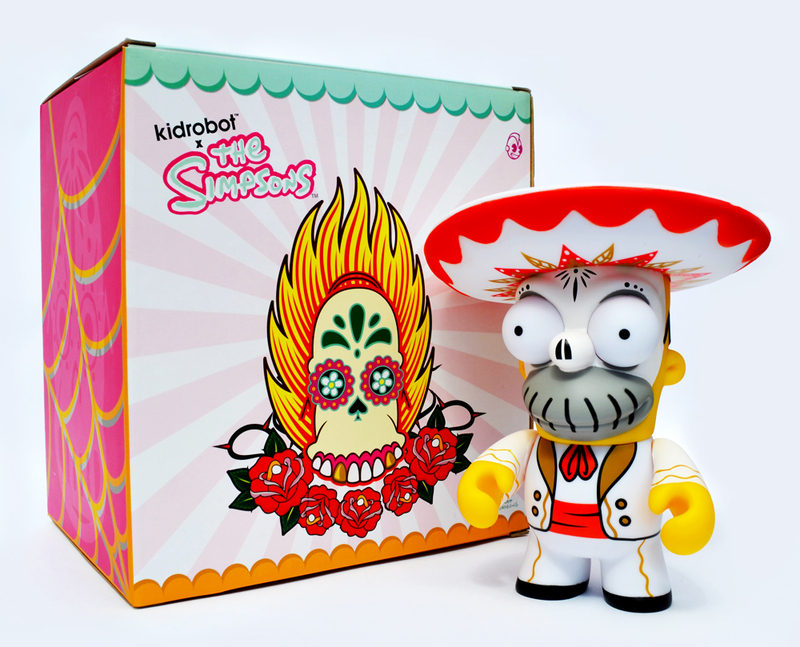 Similar to all Kidrobot’s limited edition figures Day of the Dead Homer ships in a beautifully designed and eye-catching box that really captures the feel of the Mexican feast. 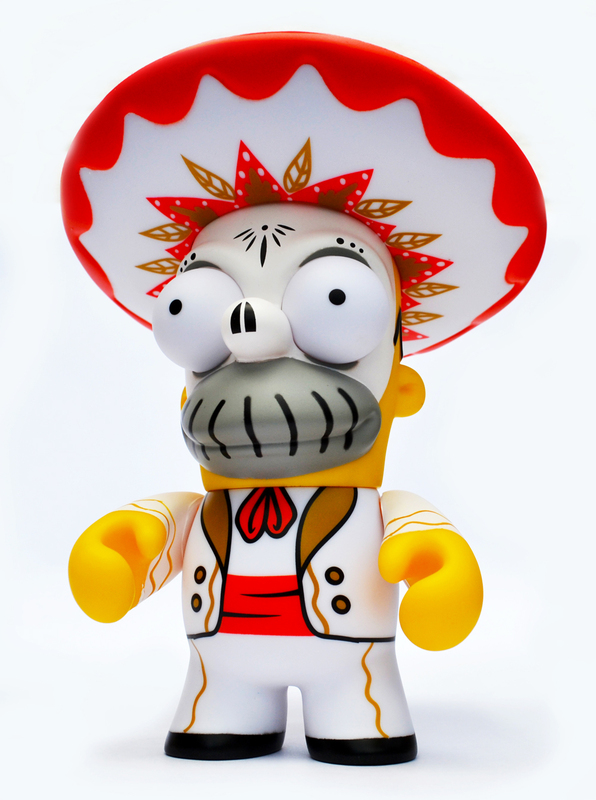 Although released as a limited edition Day of the Dead Homer can still be found online and in specialist stores, normally in the $/£35-40 range. An exclusive black-costume edition was released as an exclusive for the New York Comic Con in 2013 but I’d sooner stick with this superior version instead.